Announced by Sheriff Scott Johnson on May 24th, 2018, the Community Watch/Neighborhood Watch (CWNW) Program is for residents and businesses with mailing addresses in Oysterville, Nahcotta, Ocean Park, Long Beach, Seaview, and Ilwaco. Since the launch, the program has grown rapidly and as of November, 2018, has over 170 participating households. CWNW is a crime prevention program that stresses education and common sense. It provides you with the opportunity to make your neighborhood and community safer and improve quality of life. The focus is on observation and awareness, while avoiding putting yourself at risk. Prevent crime by improving security, increasing alertness, and creating and maintaining a caring community in an effort to reduce crime. Promote structured, effective two-way communications between the watch members and law enforcement. Promptly report suspicious and criminal activity, thus assisting law enforcement in detecting crime. Reduce fear of crime by the secure sharing of trustworthy, timely information available to watch members through meetings, newsletter, email communications, and a dedicated Facebook group. Enhance watch members’ effectiveness by providing education on key topics, such as observing and reporting skills, hardening your home, protecting personal property, and much, much more. This education is provided through meetings with law enforcement and experts in relevant fields. Promote a sense of security and community spirit, particularly amongst the more vulnerable members of the community. Enhanced feeling of community by knowing your neighbors better through an organized, efficient means of information sharing amongst watch members. 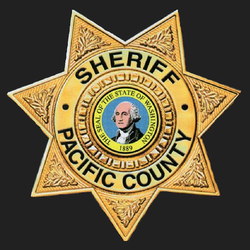 Enhanced partnership between the community and the Pacific County Sheriff’s Office. A safer neighborhood and community due to everyone having a better understanding of their neighborhood, local crime situation, and looking out for each other. For additional information or to sign up, call Howard Chang, Volunteer Program Coordinator at 425.559.3175 or email: pc.cwnw@outlook.com.